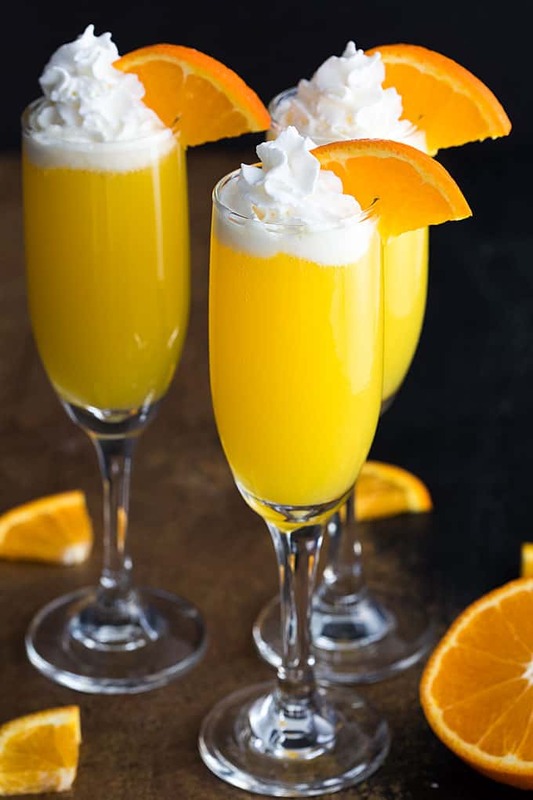 Today I’m sharing one of my new favorite mimosa recipes: Vodka Creamsicle Mimosas. 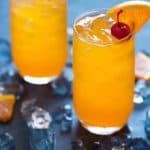 You guys. 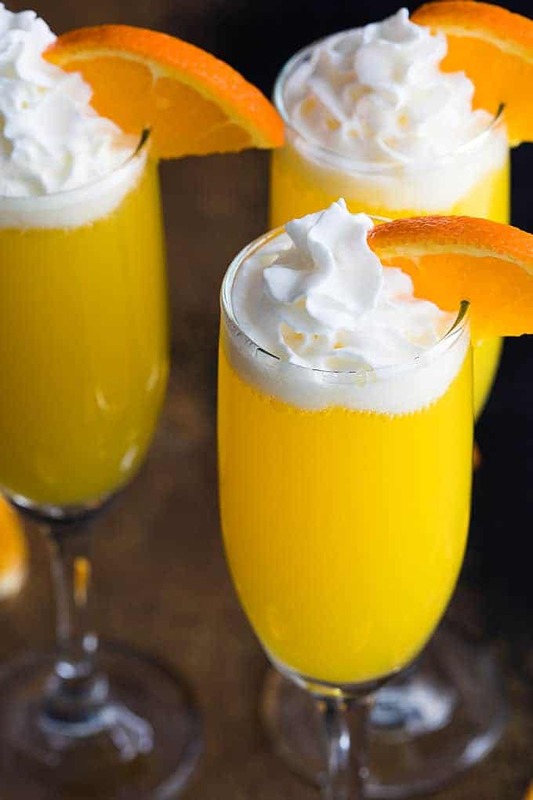 This mimosa is a total game-changer when it comes to sweet indulgence. 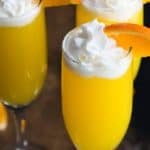 I had my doubts about mixing (whipped) vodka and champagne but this mimosa was a full-on score in so many ways… take it over the top and add whipped topping for the most ultimate dessert mimosa EVER! 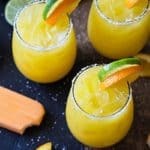 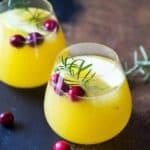 I assure you this mimosa is guaranteed to be a crowd-pleaser… it tastes just like a creamsicle (but with a punch!). 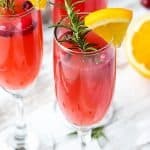 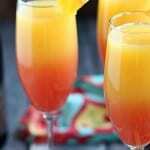 These mimosas are perfect for Easter brunch, Mother’s Day, or just when you just want to make someone feel special. 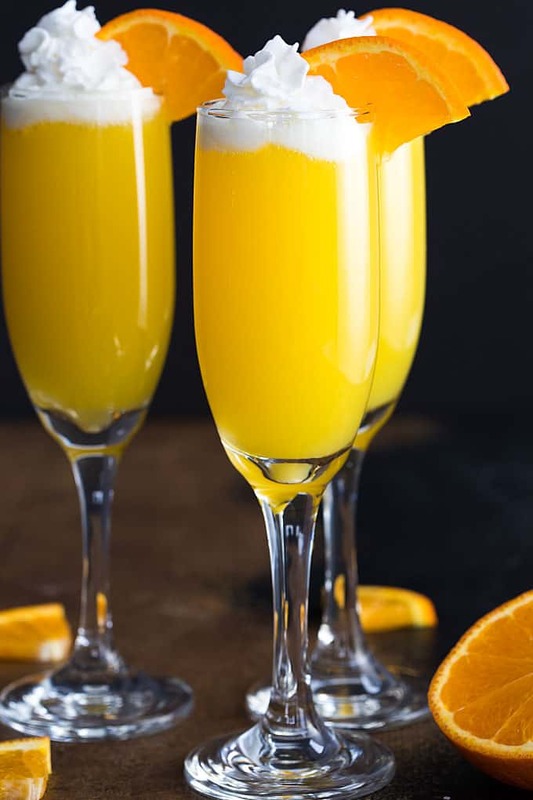 Pour whipped vodka in a champagne flute, then pour orange juice and top with champagne. 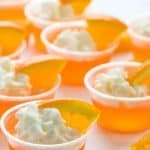 Garnish with orange slice and/or whipped topping, if desired.